China’s recycled PE market in 2018 was different from previous years. The prices of recycled PE remained high, and the spread between virgin PE and recycled PE narrowed. The import volume of waste plastics declined sharply. The prices of Chinese-made resources were high against the tight supply. The environmental protection inspections were stringent, curbing the operating rate of recycled PE industry. The central environmental protection inspection teams began the verification of environmental protection inspection results in Hebei, Henan, Inner Mongolia, Ningxia, Heilongjiang, Jiangsu, Jiangxi, Guangdong, Guangxi, Yunnan, etc. since May 30, 2018. During this period, a large number of producers halted production or lowered the loads. A few number of producers of recycled materials in Juxian County, Shandong were shut down over the long-term due to rectification. The recycled PE industry faced the great test against the state environmental protection policies and the limit of plastic products. Since the State Council issued a document in July last year banning the import of regular-origin waste plastics in 2018, the quantity of waste PE this year has fallen sharply from last year. The State Council issued another document in April 2018 that the imported industrial-origin waste plastics would be banned by the end of 2018. All the signs showed that the state has made great efforts to rectify the market of recycled plastics. Additionally, the situation of setting factories abroad is not ideal due to policy changes in Southeast Asia and the uncertain policy for imported waste plastics granules. In this case, what are the changes in the recycled PE market and how to deal with them? 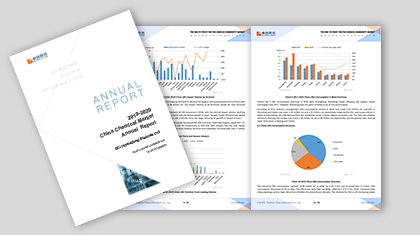 The 2018-2019 China Recycled PE Market Annual Report will show you the answer. 1. Presenting the situation of recycled PE market. 2. Analyzing the supply-demand balance of recycled PE in recent years. Helping the players to grasp the supply and demand changes, and to understand the downstream consumption structure. 3. Helping the players to understand the market situation of recycled plastics market in 2018 through the analysis of the supply and demand, price and market changes of recycled PE, and combing the related hot issues. 4. Presenting the influence of prohibiting the import of waste plastics on recycled PE industry. Interpreting relevant policies. 5. Interpreting the influence of macro environment and national policies on recycled PE industry. 6. Analyzing the driving factors of price change form multi-angles. Making objective assessment of recycled PE value chain. 7. Forecasting the recycled PE industry in 2019 though the analysis of multiple factors.